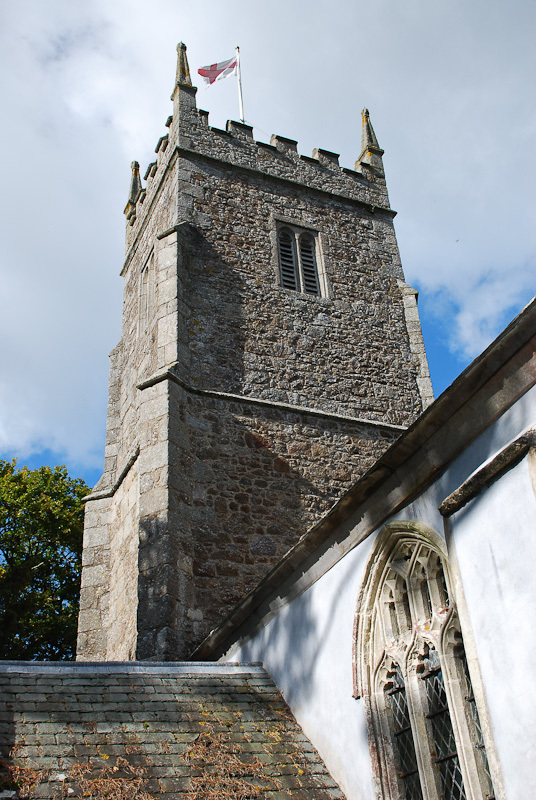 The poet and essayist Mary Chudleigh (1656-1710) is buried in the church of St John the Baptist, Higher Ashton, Devon. The Chudleigh vault is in the small side chapel to the left of the altar – according to the guidebook it’s situated below the 15th century wall painting – but there is no memorial to her. The wooden memorial board now hanging in the north aisle (see photo below) commemorates an earlier generation of Chudleighs, and the wall painting was revealed when the board was moved to its present position from the side chapel in the 1880s. Ashton church dates from the 14th and 15th centuries, but a place of worship already occupied the site when the first rector on record was instituted in 1275. W. G. Hoskins describes it as ‘A singularly attractive church in every way; worth going fifty miles to see’, and both the situation and the interior are a delight. 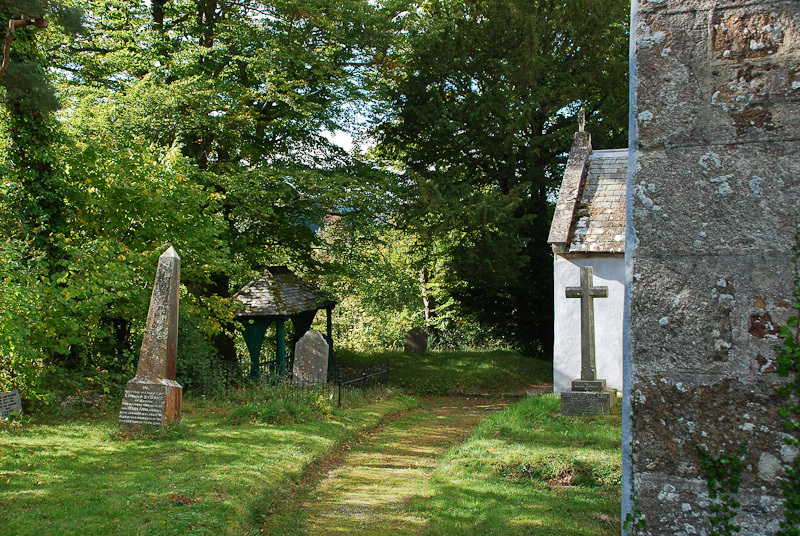 A steep path from the lane below climbs between high banks to an elegant entrance gate, and the church and graveyard occupy a narrow spur of rock above the Teign valley. Mary Lee of Winslade, Devon, was seventeen years old when she married George Chudleigh in her home parish of Clyst St George, on 25 March 1674. The Chudleighs had been lords of the manor of Ashton since 1320, and the family home at Place (now Lower Barton), in the valley to the west of the church, looks an ideal spot for a writer’s retreat. 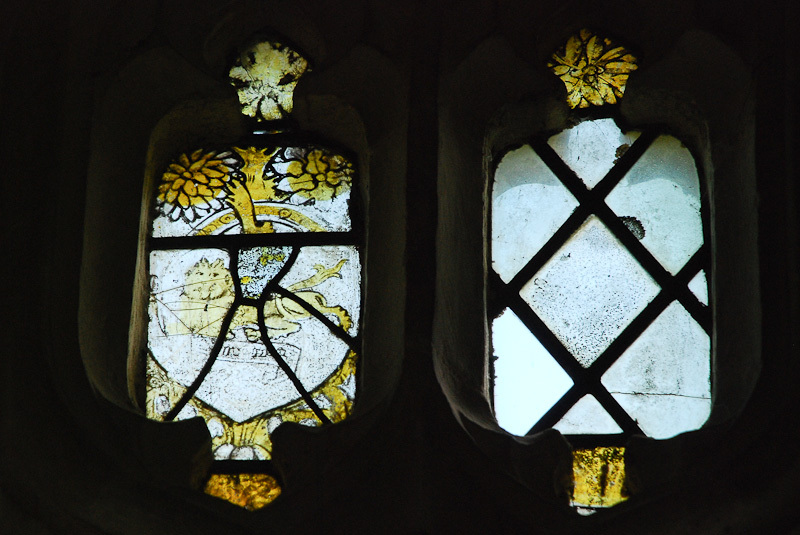 However, both Mary Chudleigh and her husband had London connections and seem to have resisted the temptation to immerse themselves in country life. Living conditions in the late 17th and early 18th century may partly account for this; as she grew older Mary suffered from a crippling form of rheumatism and in 1701/02 she wrote in a letter to a friend, ‘Ashton is healthy enough in the Summer, but I cannot be here in the Winter without hazarding my Life’. At the time of their marriage her father-in-law was still lord of the manor, and she and her husband probably lived for a while at Winslade. Their first child, also named Mary, was baptised at Clyst St George on 20 September 1676, and buried there on 9 January the following year. After this sad event Mary Chudleigh disappears from the registers in England and Scotland for seven years and nothing is known of her activities. 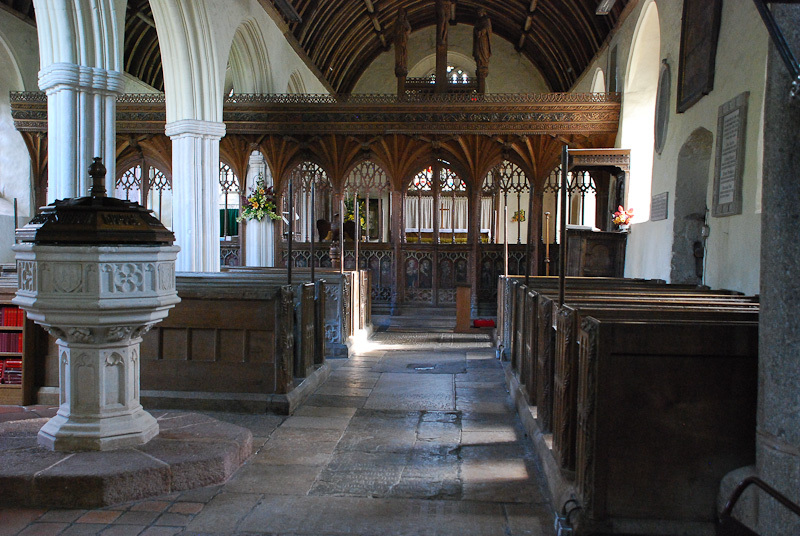 Between 1683 and 1693 three more baptisms were recorded at Clyst St George: George (1683), Richard (1685), and Thomas (1687). 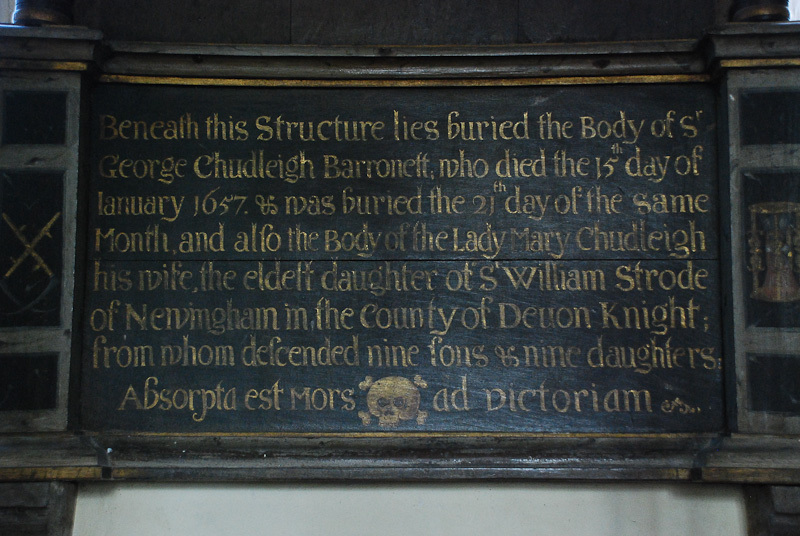 Richard was buried at Ashton in 1688, and George and Thomas were the only two of her children to survive her. Eliza Maria (1691), born after the family’s move from Winslade to Ashton, was Mary Chudleigh’s last child, but she is said to have had six altogether, two of whom were daughters, so it seems likely that another son may have been born circa 1689. Eliza Maria died in 1701/02. Mary Chudleigh described her illness, from which she at first appeared to have recovered, in ‘To the Learn’d and Ingenious Dr. Musgrave of Exeter’, and wrote about her loss in ‘On the Death of my dear Daughter Eliza Maria Chudleigh’, both published in Poems on Several Occasions (1703). Although Mary Chudleigh’s works did not appear in print until the last ten years of her life, she grew up in circumstances that allowed her to cultivate a circle of literary acquaintances. Her mother, Mary Sydenham, was born at Wynford Eagle in Dorset and was a member of a prominent local family. Thomas Sydenham, her uncle, was an influential London physician and a friend of the philosopher John Locke. Mary Chudleigh began writing poetry from an early age and like many of her contemporaries, both male and female, she shared her writings with her friends. Her first published work, The Ladies Defense (1701), a long dialogue poem written to refute John Sprint’s marriage sermon of 1699, The Bride-Woman’s Counsellor, and her most frequently anthologised poem, ‘To The Ladies’, are often read as autobiographical documents, and have gained her a reputation as an early feminist. Chudleigh herself might have disagreed with both of these interpretations. Writers tend towards a flexible relationship with ‘reality’, and a poem inspired by personal experience can be transformed into fiction during the process of writing. Many poets who have been spurred into responding to another person’s work would confirm with hindsight that the outcome was influenced for better or worse by the emotions which prompted them to take up their pen, and that calmer circumstances would have produced a different result. In the preface to her last and most reflective publication, Essays upon Several Subjects (1710), Chudleigh sets out her reasons for not wishing to see The Ladies Defense reprinted and protests against the censure to which she was exposed as a result of the original publication. Her insistence that it was written ‘with no other Design but that innocent one of amusing my friends’ and her description of it as ‘an inconsiderable Trifle’ designed to be ‘a Satyr [satire] upon Vice, and not, as some have maliciously reported, for an Invective on Marriage’ suggest that the subject has become an embarrassment to her. Evidence exists that her short poem, ‘To The Ladies’, also appealed strongly to Chudleigh’s female readers, but works by women writers that are admired by women readers don’t automatically fall into the category of feminist writing. ‘To the Ladies’ is a dramatic monologue with a theatrical quality quite distinct from the voice of the author as it appears in the majority of her other works. While it would seem to spring from strongly held beliefs about the need for women to retain their independence and gain the right to an education, it reads more like an speech intended to be delivered by character in a play than an admission of personal unhappiness. Mary Chudleigh lived in turbulent times. The death of Oliver Cromwell in 1658, two years after her birth, resulted in the Restoration of the monarchy in 1660. The south west of England had been deeply affected by the Civil War, which divided families and communities in ways almost impossible to imagine today. Sir George Chudleigh, the first baronet commemorated on the memorial in Ashton Church (above), worked actively against the King at the beginning of the conflict but the family later switched to supporting the Royalist cause. 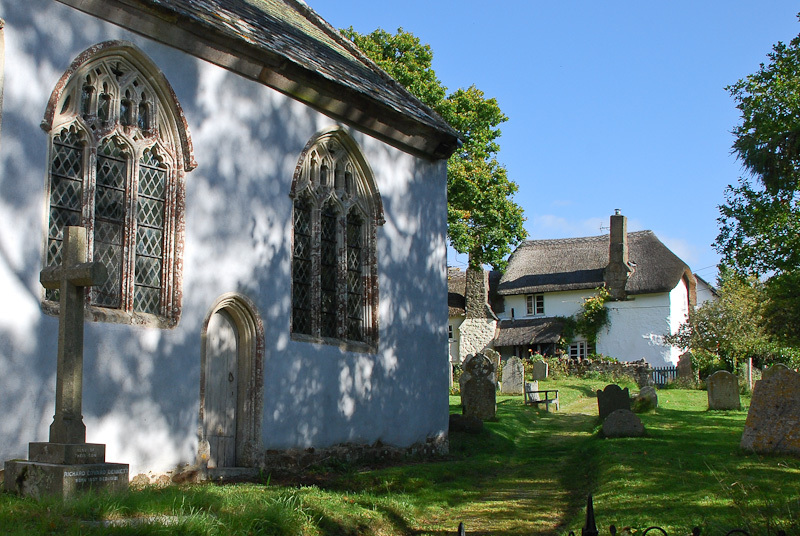 His son, James, a major-general, died in 1643 from wounds received during the fighting, and in the same year the Cornish poet Sidney Godolphin died along with three other men in a skirmish in Chagford (see my ‘Chagford’ post of 05/05/2009). Mary’s uncle on her mother’s side also fought with the Parliamentarians and served briefly as a member of Richard Cromwell’s council, and two other members of her mother’s family seem to have died as a result of the conflict (Mary Jeffrey, wife of William Sydenham, at her home in Wynford Eagle in 1644, and Francis Sydenham, defending Weymouth, in 1645). Two of Mary’s siblings died in childhood and by the time she herself died, at the age of fifty-four and after having been confined to her room by ill health for a long period, she had suffered the loss of her mother, her two remaining brothers and four of her six children. The stoical tone of her later work, with its emphasis on ‘masculine’ strengths, and condemnation of those ‘effeminate’ qualities that she finds unattractive or unworthy, and her determination to immerse herself in Christian principles, may partly be strategies for coping with these events. A richer, more spirituous Juice. And like the Giants, brave the Skies. In the bless’d Source of Truth and Light. Margaret J. M. Ezell’s excellent book, The Poems and Prose of Mary, Lady Chudleigh, Oxford University Press, 1993, was essential to the writing of this article. I can find no reference to Chudleigh as a feminist in Ezell’s introduction – the only instances where the word appears are a footnote citing Ruth Perry’s The Celebrated Mary Astell: An Early English Feminist, and the back cover blurb, which describes the book as ‘The first edition of the collected poetry and prose of the Restoration feminist, Mary, Lady Chudleigh’. Mary Chudleigh lived through four reigns, the ‘Restoration’ period being the earliest: Charles II died in 1689 and her first published work didn’t appear until 1701. Information about the location of the Chudleigh vault is taken from the booklet, Ashton Church, Devon, by Marion Glasscoe, published by Ashton PCC, reprinted 1993 and obtained from the Church of St. John the Baptist, Ashton, in October 2010. Around the Churches in the Teign Valley by Walter Jacobson, Obelisk Publications, 2000, includes an entry on Ashton. The W. G Hoskins quote comes from Collins Guide to English Churches, edited by John Betjeman, Collins, 1958.